University of Southampton Professor Paul Little has received recognition in the 2018 Queen’s Birthday Honours with the award of a CBE for services to General Practice Research. 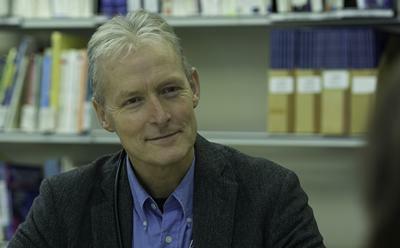 The Professor of Primary Care Research was the first General Practitioner to be awarded a Wellcome HSR training fellowship (for research on health promotion) in 1993, and the first to be awarded an MRC Clinician Scientist Fellowship (for research on common self-limiting illness) in 1998. “I am very touched by the fact that my colleagues appreciate what I have done to nominate me for this honour,” said Professor Little. “There are so many people to thank but I would like to acknowledge my GP colleagues who are working at the pretty tough coal face without whom no patients would be asked to participate in the studies I have done. “I would also like to thank the patients who, despite being unwell, have given their time and energy to help in research that will benefit others, my immediate University and other colleagues and lovely hard-working research teams who make it possible and fun to work together, and to my great family for supporting me - and putting up with me working more hours than I should!” he concluded. Amongst Professor Little’s two primary interests of research are the importance of health promotion and the management of common self-limiting illnesses - including the more appropriate use of antibiotics to combat the major public health threat of antibiotic resistance. “These topics link evidence about effectiveness with better understanding of both health professionals' and patients' beliefs and behaviour, and the importance of the patient centred approach to the consultation,” Professor Little explained. His work for the last 25 years in the management of common infections has included trialling antibiotic prescribing strategies across a number of respiratory and urinary tract infections. Professor Little and his team have recently completed two major trials as part of a large European Union Network of Excellence project for Lower respiratory tract infection which is the commonest acute condition managed in primary care, and a UK based trial of more than 20,000 individuals to demonstrate how a brief intervention to support hand washing has an important impact in preventing the transmission of common infections within families. A major focus of Professor Little’s research in the last 5 years has focused on developing internet-based behavioural support to help health professionals and their patients manage a wide range of health problems - including studies on obesity, hypertension, cancer survivors, cognitive impairment, and malnutrition in the elderly. He is also collaborating on similar projects led by other colleagues in Southampton for irritable bowel syndrome, eczema, back pain, depression and stress. 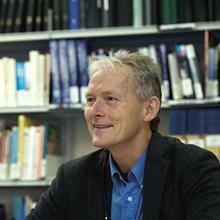 Professor Paul Little is Professor of Primary Care Research within Medicine at the University of Southampton.